Baku, is it Asia or Europe? The novel "Ali and Nino" tells about the love between an Azerbaijani and a Georgian teenager. Depicted as symbols of Asia and Europe, they meet in the Caucasus and there can be united. Almost one century after Ali and Nino was published, can the Caucasus be European and can it be united? "Some scholars look on the area south of the Caucasian mountains as belonging to Asia, while others, in view of Transcaucasia’s cultural evolution, believe that this country should be considered part of Europe." With these words, Professor Sanin frames the issue for his class at the Imperial Russian Humanistic High School of Baku described by Kurban Said (pen name for Lev Nussembaum) in his famous book Ali and Nino, first published in 1937. 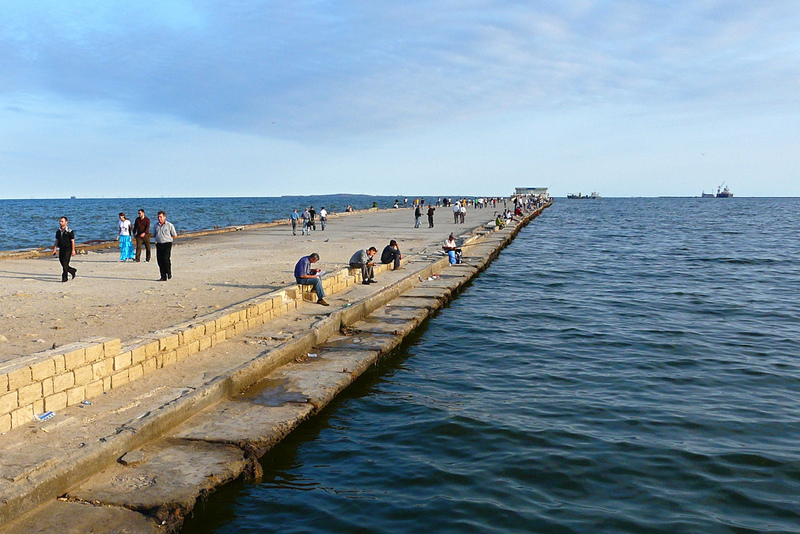 The novel tells a love story of an upper-class Azerbaijani Muslim teenager, Ali Khan Shirvanshir, and a Georgian princess, Nino Kipiani, that evolves in Baku, the capital of Azerbaijan, prior to the Soviet takeover in 1920. The novel takes its readers on a journey across the Caucasus and on to its wider neighbourhood, stretching from the shores of the Caspian Sea to Karabakh and to the mountains of Dagestan, where the two get married. The novel’s principle characters continue on to Georgia, Persia and finally end in Baku in the midst of war. While the book focuses on Ali and Nino’s love, it is more than just a romantic story of two teenagers. The descriptions of different communities living in Azerbaijan – Armenians, Russians, and Georgians – and of the greater Caucasus neighbourhood reveal a sense of belonging to Europe, already at the beginning of the twentieth century. “Here we are, representatives of the three greatest Caucasian people: a Georgian, a Mohammedan, an Armenian. Born under the same sky, by the same earth, different ad yet the same, like God’s Trinity. European, and yet Asiatic, receiving from East and West, and giving to both”. as you were in Persia. where Europe and Asia meet. Given the book’s historical setting, the author unsurprisingly writes of Russia’s influence in the region and the Russians’ playful approach, treating this region as a child in need of constant protection. “They [Russians] pretend that they must protect us, one against the other […] trying to tell us that we are children […] but we are not children any more, we have been grown up for quite some time”. the European family of free nations. Decades later, with the Caucasus having gained its independence following 70 years of Soviet rule, it remains divided. Armenia and Azerbaijan are stuck in a state of no-war, no-peace over the disputed territory of Nagorno-Karabakh. Georgia is recovering from a war with Russia over South Ossetia and Abkhazia. Russia still treats the Caucasus as a child in need of protection. Moreover, the strong sense of belonging to Europe evident throughout Said’s book, let alone being part of Europe is distant as ever, at least for Azerbaijan and Armenia. The speech from the President of Azerbaijan, Ilham Aliyev, did not have a similar, reassuring appeal and fell short of any of such promises. His speech focused more on the war with Armenia and its “devastating” outcomes. He then talked about Azerbaijan’s successful economic growth, stable government and political development. Nothing in his talk offered a hope of a united Caucasus apart from Azerbaijan being “a place of coexistence and tolerance between different faiths, ethnic groups and philosophies”. Therefore, among all three Caucasus countries, Georgia may be the one with strongest sense of belonging to Europe. Ever since the Rose Revolution, Georgia has been going through a change. While some critics of Georgia would argue that this change was not always positive, the overall picture indicates that Georgia leads Azerbaijan and Armenia in terms of reforms, democratic development, and fair economic growth. Therefore, its European association is more visible on the streets of Tbilisi. Ask any Georgian where does Georgia belong, and most would answer Georgia belongs to Europe. Perhaps, the united and European Caucasus of Ali and Nino will arrive. However, given existing circumstances, it looks like it will take a long time.